This species is a mini-miniature from the cool moist cloud forests of Panama and Colombia. 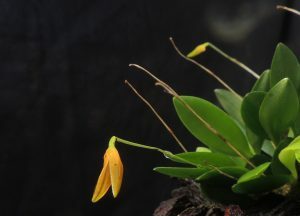 The plant produces a mass of 3cm long leaves and then single flowers on 4cm stems – very cute. We find that the species does well mounted or in baskets.